You are here: Home | Exhibitor search | Geeplus Europe Ltd.
Geeplus was founded in 2004 as a Management Buy Out (MBO) of the highly successful electromechanical (solenoids, voice coil actuators, stepper motors, etc.) division inside of Densitron Control Systems Ltd. 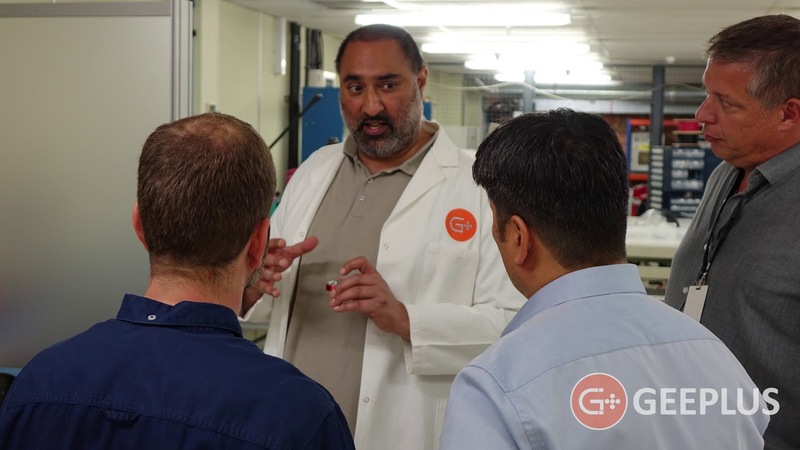 The reason for this buyout was to allow Geeplus to focus solely on the advancement of the electromechanical business, which we knew had the potential to become one of the top companies in the field. Because we were able to keep our outstanding staff and team of engineers intact from the Densitron division (before beginning to grow where we are today), Geeplus as a company boasts well over 20 years of experience in advanced electromechanical actuation. Geeplus is a worldwide specialist in the design and manufacture of both standard and customized electromechanical actuators. These advanced actuation devices—including linear solenoids (i.e. push-pull solenoids, tubular solenoids, open frame solenoids, proportional solenoids, voice coil actuators, etc. ), rotary solenoids (i.e. 3-ball rotary solenoids, bi-stable rotary solenoids) electromagnets, stepper motors, etc—control/stimulate movement in a wide range of advanced applications. Our stepper motors achieve high efficiency via a new lamination design which produces torque typically 50–100% greater than round body designs. • Flexibility: The DSMH series comes in 7 sizes ranging from 20 to 110 mm flange. • High Speed: The high torque of the DSMH stepper motors allows for high acceleration. Low-resistance windings allow for high speed. • Low Noise and Vibration: The rectangular lamination design leads to a high stiffness in our hybrid stepper motors. The tooth geometry was especially designed to minimize audible noise and vibration. • Connectivity: Most motors in the DSMH family provide 8 leads. This allows for both serial and parallel connection in bipolar operation as well as unipolar connection. With high starting torque and faster acceleration / deceleration, the motor produces less heat and less noise by eliminating ionizing spikes from brushes. This makes the brushless motor suitable for use in a number of sensitive applications, including medical equipment. Additional application examples include hospital beds (less noise than a stepper motor), door release bars, centrifuge drives, linear and servo motors, actuators for industrial robots, feeder drives and a whole lot more. Our brushless motors are currently available in eight standard sizes, but other versions can be manufactured to specification. • Custom Flange Once tooling is complete for modifications of this kind, the impact on unit cost is small. • Shaft Modification Flats, keyways, splines, leadscrew form, pinion and rear shaft extension are common modifications. • Encoders Can be added to provide position feedback, and can provide relative or absolute position information. • Lead-wire Modification Longer or shorter lead-wires, cable (with outer sheath), or addition of connectors are common modifications. Different lead-wire material is possible to conform to standards in different countries/applications. • Insulation System Higher temperature class (may also require magnet and bearing changes), or higher isolation class are usually straightforward. Impregnation or over-moulding of motor windings can improve heat transfer from coil windings to stator, enhance isolation, and improve resistance to vibration, and to hostile environments/corrosion. • Bearing Changes Bearings can be changed to withstand higher radial or axial loading, to accommodate a custom shaft, to use corrosion resistant material, to withstand higher or lower temperatures, or to incorporate sealing. • Winding Change Motor windings can be changed to modify the motor speed and torque characteristics, and / or to optimize for best compatibility with a chosen drive. • Temperature Range Metal parts of the motor will normally withstand a fairly wide temperature range. Insulation materials, magnets, bearings, and lubricating grease or oil may need to be changed to withstand wide temperature variations. Geeplus linear solenoids are “high performance” products designed for industrial applications. If you can’t find the right product for your application within our standard linear solenoid selection, we can either adapt existing designs with respect to electrical or mechanical properties or develop completely new solenoids for your particular application. Super Stroke Solenoids: Unique linear solenoid offering a long stroke with cost-effective semi-proportional control. In response to the growing demand for small-size low-power control components, the new range of pinch valves will suit a wide variety of applications calling for control of water, air and other non-aggressive fluids across a wide range of industries. A development of Geeplus’ acclaimed and widely used general purpose solenoid valves, the pinch valves are robust in manufacture and thoroughly reliable in operation. Typically used with silicon tubing as the carrying device, the pinching is achieved by energizing the solenoid. This cuts off the media in the tube by pinching or releasing the tubing. The fluid can flow in either direction. The pinch valves can control any and all fluids that are compatible with the tubing material, while protecting them from all contamination — including temperature, which is of particular importance when used in medical applications. Their accuracy of operation also makes them suitable for dosing. Offering twin tube operation, the Geeplus pinch valve provides normally open/normally closed functions and measures 72.5mm in length and 24mm in diameter. The standard fixing plate is drilled to 30mm centres. The rotary movement in our rotary solenoids is converted from a linear motion by the mechanical incorporation of an inclined plane. There are three uniform spiral grooves (called “ball races”) that are stamped into both the case and the armature. The ball races convert the linear motion to rotary, while also providing the bearing system for the rotary movement. Bistable Rotary Solenoids are especially well suited to paper transportation and sorting systems: for example, ATM machines and other banknote sorting mechanisms. These versatile rotary solenoids can be driven in either direction and hold in either end position with no current applied. Bistable Rotary Solenoids offer a torque of up to 0.4Nm as well as an angle of up to +/-55°. Ball bearings ensure a high life expectancy while eliminating axial movement. The VM series of Voice Coils Motors from Geeplus addresses applications where excellent control for short stroke, bidirectional linear actuation is required–in medical or optical equipment, for example. Voice Coil Actuators can develop force in either direction by reversing polarity of excitation. A very important characteristic of voice coils is extremely low hysteresis; typically two orders of magnitude less than in proportional solenoids. This, along with the flat force exhibited by voice coil actuators, lend these devices to applications requiring precise control of force and/or position (such as control valves, or lens and mirror positioning systems). The VM series of Voice Coil Motors are designed as actuator components with incorporated shafts and sliding bearings as standard, to ensure accurate guidance of the moving coil within the magnet assembly. Position sensors are not included. Geeplus also designs and manufactures completely customized versions in a variety of sizes and even form factors (including short stroke, U-shape, ironless motors as well rotary voice coil versions). In most applications, the coil is the moving part. Our Voice Coil Actuators can also be shipped without shaft and bearing. In addition to doubling the useful stroke of a standard solenoid and creating semi-proportional control, Geeplus has now developed a Super Stroke Solenoid suitable for applications where a quiet solenoid is necessary.